Richard Sparks, Chair of Conducting & Ensembles, joined the faculty at UNT in 2009 with both a distinguished academic and professional career. A dedicated and passionate teacher, Sparks brings a wealth of experience to young conductors under his guidance. 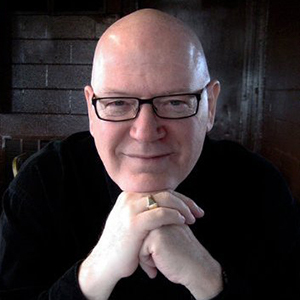 Sparks was a faculty member at Mount Holyoke College and Pacific Lutheran University, where he was Director of Choral Activities from 1983-2001. He founded Seattle Pro Musica and conducted three ensembles from 1973-80 in over 70 concerts; conducted the Seattle Symphony Chorale from 1990-94 (preparing the choir for nine recordings on the Delos label); founded and conducted Choral Arts in Seattle from 1993-2006 (with whom he made three recordings on the Gothic label); and Pro Coro Canada (Edmonton, AB) from 1999 to 2011. A professional chamber choir, Pro Coro toured regularly across Canada and broadcast on CBC Radio. He has been active in the professional world guest conducting the Anchorage Music Festival, Portland Symphonic Choir, Portland Baroque Orchestra, Northwest Chamber Orchestra, Exultate Chamber Singers in Toronto, the Santa Fe Desert Chorale, and the Swedish Radio Choir.